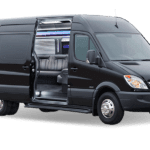 Austin Mercedes Sprinter Limo 14 Passenger can take you on tours around Austin, including brewery tours, wine tours, etc. 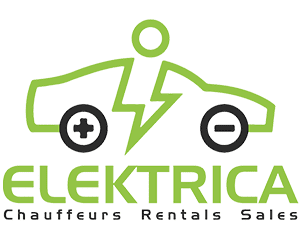 This is a great vehicle when you have executives come into town and need to have mobile meetings. 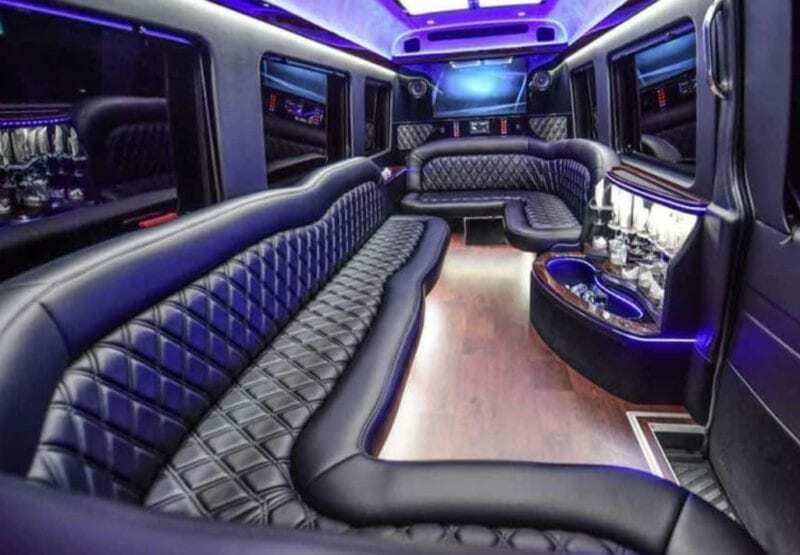 Pick them up at Bergstrom Airport in style and make your executives feel the luxury of this brand new Mercedes Sprinter Limo fitting up to 14 passengers. 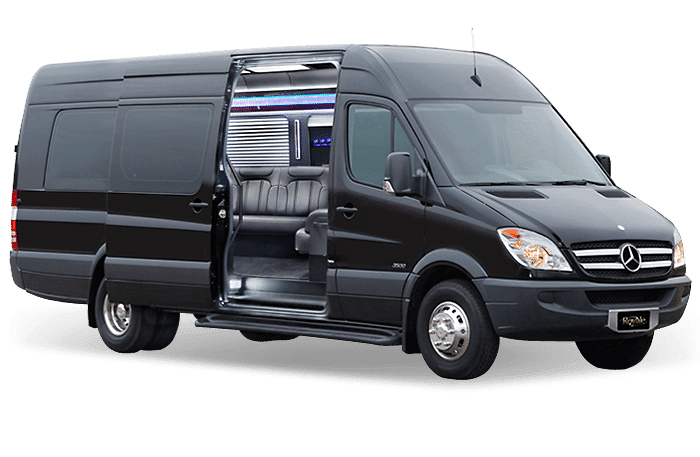 Party on-board this brand new sprinter limousine fit up to 14 guests, play music videos while bar hopping through downtown Austin or at the Domain. Book the perfect combination of a party bus or a limousine and enjoy a whole night with your girls’ pub crawling, spa day, or the day before the wedding bachelorette party. The Mercedes Sprinter van for those who have more passengers you need to accommodate.Fits up to 14 passengers all facing each other. Great for meetings, bachelor parties, birthday parties, and more. See what Austin has to offer and tour the hill country with your friends. Our sprinter limo is perfect for the funeral service transportation. Black on the outside and comfortable and larger on the inside accommodating more passengers. 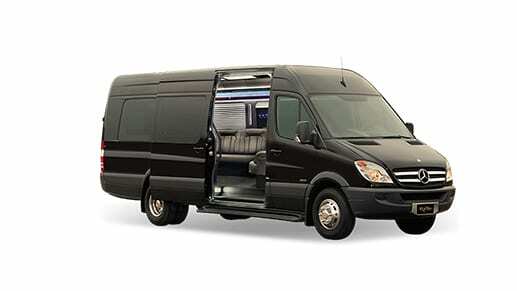 Non-medical transportation makes it easy when traveling in a Mercedes Sprinter Limo. We book a lot of weddings and help shuttle to locations in this 14 passenger mini party bus fitting up to 14 passengers.